Theophile Frayerman, (left) drawing of A. Chemisov, (right) Head of John the Baptist. Remembering a storied Jewish artist, teacher and museum director from Odessa. This article by Yevgeniy Demenok appeared in the October/November 2017 issue of The Odessa Review, which was supported by the Ukrainian Jewish Encounter. 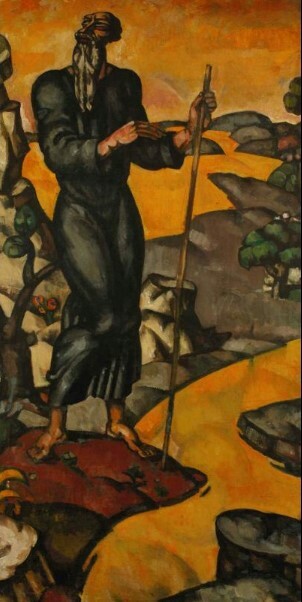 In November 2001 the Odessa Fine Arts Museum organized the exhibition “In the Presence of a Miracle”. There, works by Odessa artists from the 18th and 19th centuries were exhibited. In fact, that exhibition has become a landmark, because despite the large number of Jewish artists in the city, such a display never took place during the Soviet era. On the one hand, because of the prevailing anti-Semitism, on the other because of the revolution and Civil War. It should be pointed out that such an exhibition was first prepared by Jewish artists from Odessa all the way back in 1918, but for various reasons never took place. 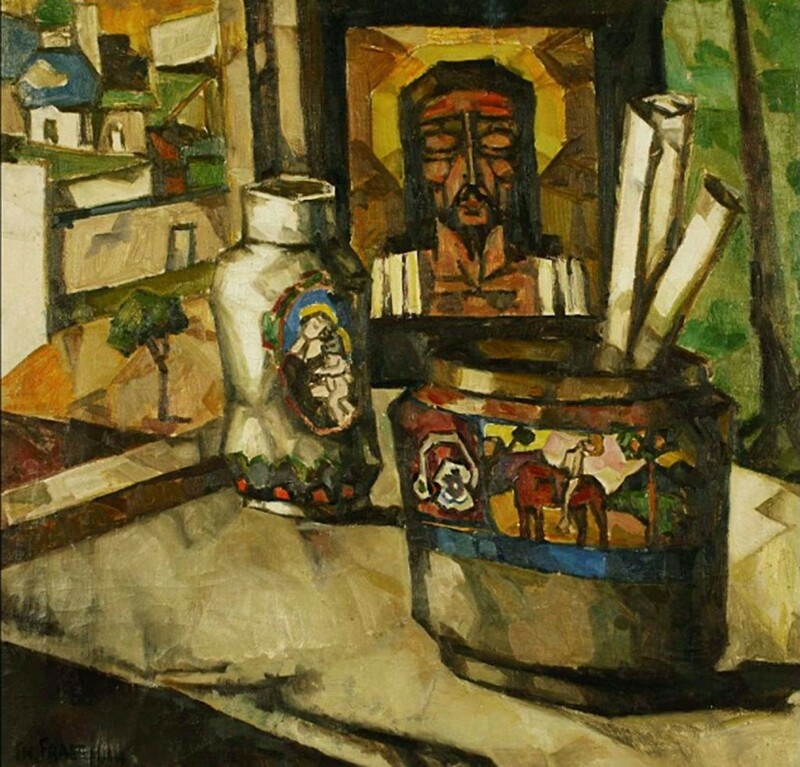 As a result, artists from Odessa participated in exhibitions of Jewish artists, which took place in Kyiv, Moscow and Petrograd in 1918 and 1919. The Odessa Fine Arts Museum. The Odessa School has existed since the middle of the nineteenth century, and for most of that time the work of Jewish artists constituted a core part of the Odessa art world. They always took part in the various creative associations (such as “the Association of South Russian Artists”). Why did Odessa have to wait for nearly a hundred years before the opening of such an exhibition? Many answers can be given to this question, but one is obvious: anti-Semitism in one guise or another. And yet, even in these years of silence and prohibition, the tradition did not cease. Jewish artists became teachers and passed on their knowledge, skills and aesthetic preferences to their students. In Odessa there were several generations of such teachers. Thus, Theophile Frayerman and Mikhail Gershenfeld, who returned during the February Revolution from Paris, taught such artists as Mose Mutselmakher, Dina Frumina, Lyudmila Tokareva-Aleksandrovich, Alexander Postel; These in turn were the teachers of the next generation of artists such as Lucien Dulfan, Leo Mezhberg, Ilya Schenker, Josef Ostrovsky and Alexander Freidin. Of the group, Theophile Frayerman is perhaps the most legendary within the circles of Odessan artist. A great painter and teacher, who taught iconic artists, not only from Odessa, but from the whole country, such as Eugeniy Kibrik, Yuri Yegorov, Oleg Sokolov, Dina Frumina and Ilya Shenker. Almost all these students left us written testimonials and memoirs in one form or another about the teacher, in which they wrote about him with great respect and warmth. 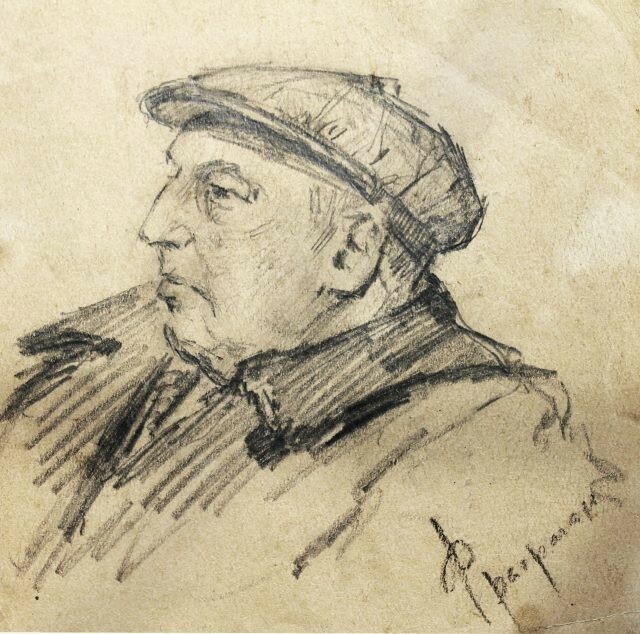 Theophile Frayerman was born in Berdichev in 1883. At the age of 14 he came to Odessa and began his studies at the Odessa School of Drawing, after which he entered the school in 1897. 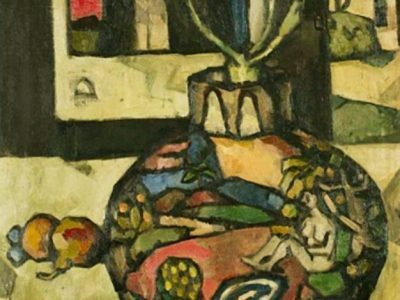 After graduating in 1902, he followed in the footsteps of the most talented Jewish artists of that time — he went to Munich to attend the school of Anton Azhba and after that continued onward to Paris, where he lived for eight years — from 1906 to 1914. Lesya Voiskun writes in the foreword to the catalog of the famous Israeli exhibition of Odessa independent artists that Frayerman studied at the Paris School of Fine Arts (L’Ecole des Beaux-Art) with Gabriel Ferrier, “known for his strict academic method of teaching”. 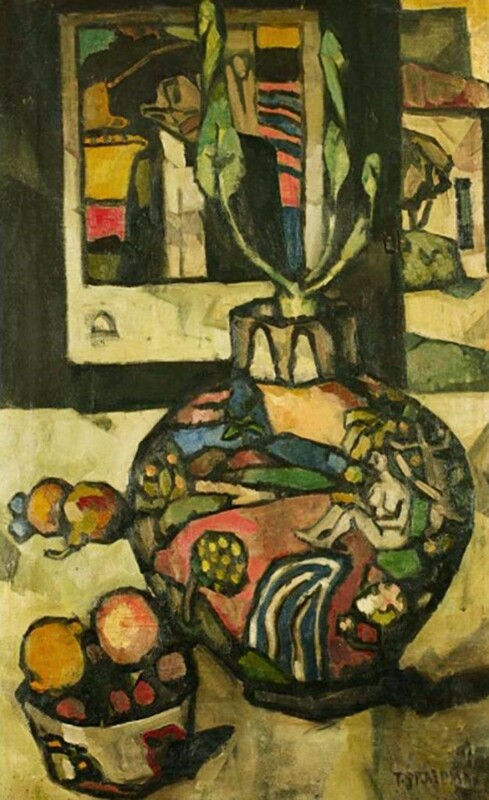 Theophile Frayerman, (left) Prophet 1919, (right) Vase. In 1908, the artist first exhibited in the Autumn Salon (Salon d’Automne) and quickly gained prestige in the artistic world, so that by the next year he was already a member of the jury of this salon. He was friends with Matisse, communicated with Rodin, worked with Degas and had exhibitions at the Société des Artistes Indépendants. In 1914, Frayerman moved to London and in 1917 he returned to Odessa because his mother was seriously ill. Frayerman thought she would get well soon — but he was sadly wrong. 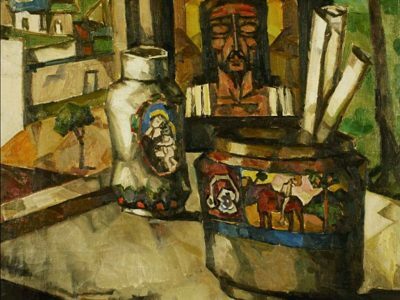 In the artistic Odessa of that time a line of tension ran between the traditionalists represented by the Association of South Russian Artists and the younger “independent” artists. Frayerman joined the independents, approached Nuremberg, Gershenfeld, took part in joint exhibitions. 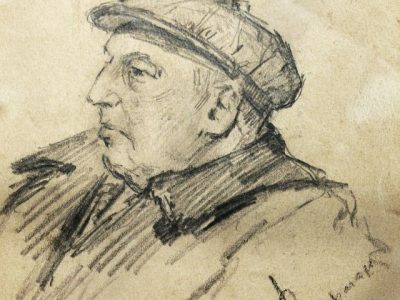 He had many ideas, many of which were not realized: to emigrate to Eretz-Israel and to create an Academy of Modern Art, to organize an exhibition of works by Jewish artists in Odessa, such as the exhibitions of the Kyiv “Kultur-Liga”. But the organizational talents of Theophile attracted attention — he organized the National Art Museum, the Museum of Jewish Culture and according to some reports — the Museum of New Art. 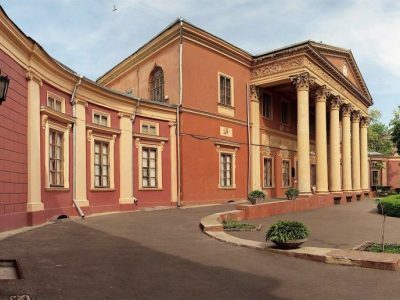 The Gallery of the ancient painting of the Museum of Folk Art later became the Odessa Museum of Western and Eastern art, with him serving as the first director. He lived in an apartment in the museum for the rest of his life, with the exception of the wartime years (1941- 1944), when he led the evacuation of the museum’s exhibits to Ufa, and after the liberation of Odessa again, arranged the exhibition of the works on the museum’s walls. Frayerman also taught a lot — in the Odessa Art School, the Institute of Fine Arts (later the Art College), the construction institute. But the European school broke the canons of socialist realism. Constant reproaches of “Formalism” from the authorities led to him being suspended from teaching in 1949. 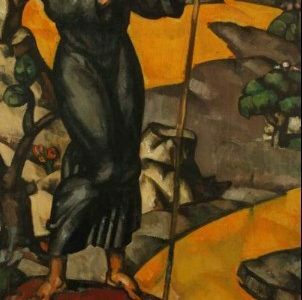 Only a few works by the artist from those years have been preserved and they do not show the bright colors of the early Frayerman. 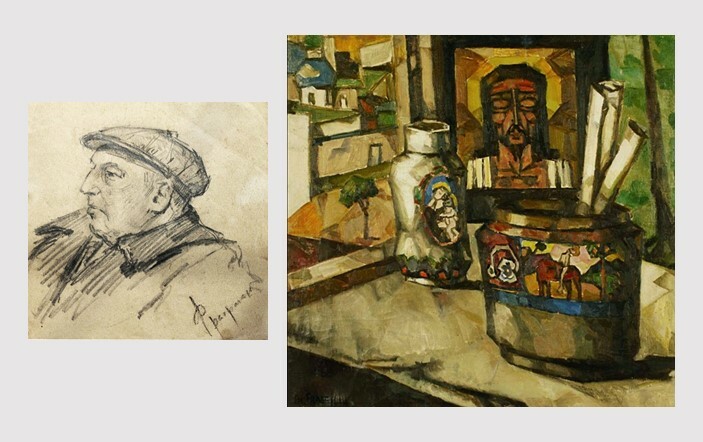 Just a year before his death, during the Khrushchev thaw, the master returned to his signature style and made a series of gouaches, in which his European training and early exposure to the Parisian school are clearly visible. 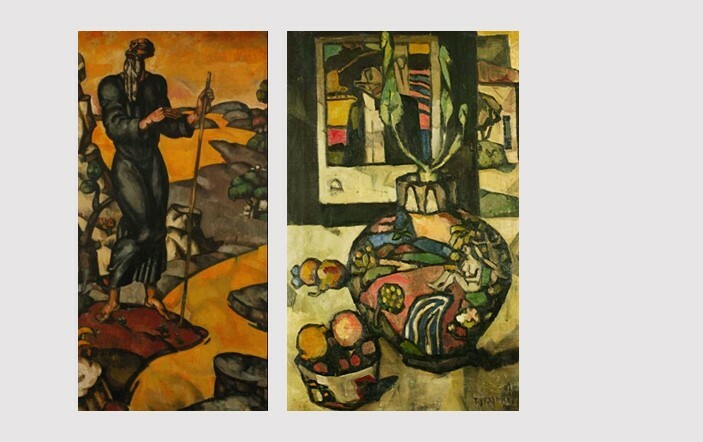 These works were exhibited in 1957 at the posthumous exhibition of the artist. Ilya Shenker, who studied with Theophile, wrote: “Not everyone was allowed to immigrate, Theophile Frayerman lived in Odessa, and I was lucky enough to study from him. He talked a lot about his travels around Europe and his life in Paris. Italy and France were an artistic paradise to him. Therophile Frayerman treated his students warmly. He was a real intellectual who didn’t care about money. A real man. In the Odessa of my youth I felt an artistic atmosphere, there was an artistic environment and there were traditions”. His students were able to preserve something that later allowed art historians to talk about a specific “Odessa school” of painting (including in the underground art) in the 1960’s and 1970’s. In many respects, it is thanks to him, that the modernist artistic culture of the early 20th century did not die out completely. The founders of the Ukrainian avant-garde fund, Andrei Adamovsky, Alexander Suslensky and Boris Fuksman bought them from the heirs of Yakov Peremen at a Sotheby’s auction sale devoted to the Odessa auction. Since then, Frayerman’s work has been exhibited exhibitions in New York, Kyiv and Odessa. Eugene Demenok is a writer, journalist, and cultural historian who has authored five books. He is a winner of the Paustovsky’s Municipal Literary Prize for his 2014 book “New, on the Burliuks”. He is a founding organizer of Odessa Intelligentsia Forum and a member of the Presidential Council of the Worldwide Club of Odessans. Theophile Frayerman. drawing of A. Chemisov. Theophile Frayerman. Head of John the Baptist. NOTE: UJE does not necessarily endorse opinions expressed in articles and other materials published on its website and social media pages. Such materials are posted to promote discussion related to Ukrainian-Jewish interactions and relations. The website and social media pages will be places of information that reflect varied viewpoints.